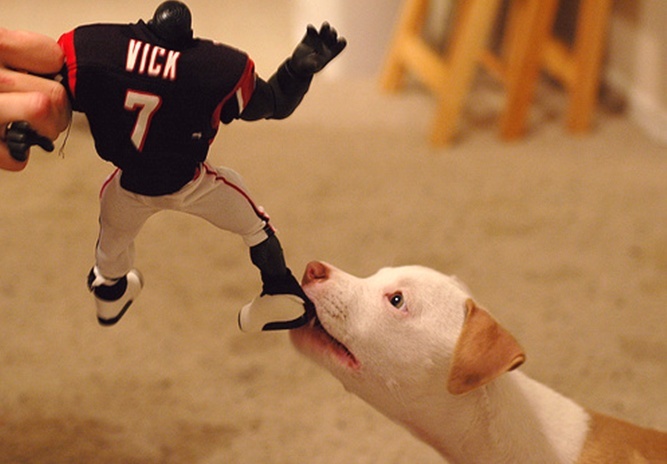 Michael Vick just might be the best thing to happen to the war against dog fighting! Vick to go to Capitol Hill to support crackdown on dog fighting... see CNN Video below. Advocacy for Responsible Ownership. This is a complete 180 degree turn from the original Your Friend and Mine Newsletter which promoted Pit Bulls for fighting. The notorious H.Q. Kennedy and Pete Sparks headed this up for 47 years between 1952 - 1999 and now that Pete has died, this web site is now taking over the name in order to Right the Wrong that Your Friend and Mine was for so many years and discourage dog fighting and animal abuse of any kind! Officially named the American Pit Bull Terrior and American Kennel Association AKC recognized as Staffordshire Terrier. The Original Your Friend and Mine was responsible for coining the term "Pit Dogs"... they brag about it in the publication... subsequently the organization and the magazine became widely distributed. Your Friend and Mine was the most distributed material about Pit Bull fighting and directly responsible for making dog fighting exceptable as a "sport" and as bonified "entertainment", particular with the criminal element of society. and there is a new sheriff in town that is anti dog fighting and personally wishes that all people who fight dogs vanish from the earth forever! Update: 3-23-10 - Lycos.com the parent company of TriPod.com finally agreed to bring down the last remaining site owned by the original magazine! As stated by one Pit Bull advocate... "This is a huge victory and a giant move to erasing them from memory for ever!" Irresponsible ownership and abuse of animals is at epidemic proportions in the 21st century including the most heinous act of all animals abuses, dog fighting. The federal authorities 2007 task force campaign going after dog fighting rings around America brought it back into the lime light after nabbing the then highest paid athlete in the world, Michael Vick for funding and running a dog fighting club out of Virginia. In a way however, Michael Vicks stupidy has helped to further stop dog fighting around the country world. The problems that exist are not just limited to Pit Bulls, but when a poodle bites someone it does not make the news. Regardless of the percentage of dog bites that come from Pit Bulls & Rottweilers, etc, you rarely hear about other breeds of dogs attacking humans in the press. 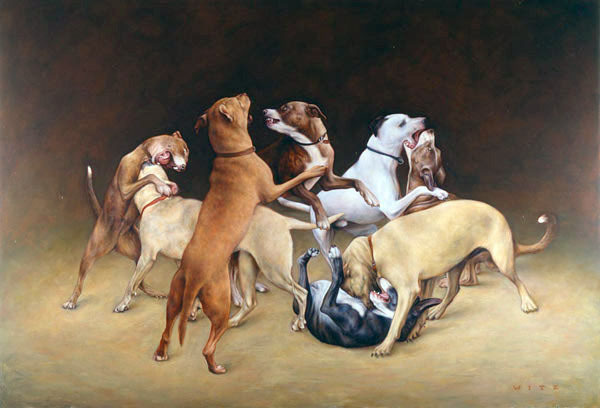 Other animals including lions, leopards, tigers, snakes, monkeys, orangutans, chimpanzees, bears, etc., attack people on a regular basis and just like all dogs and not just Pit Bulls, the blame for such attack can be directly associated with irresponsible ownership almost every time. 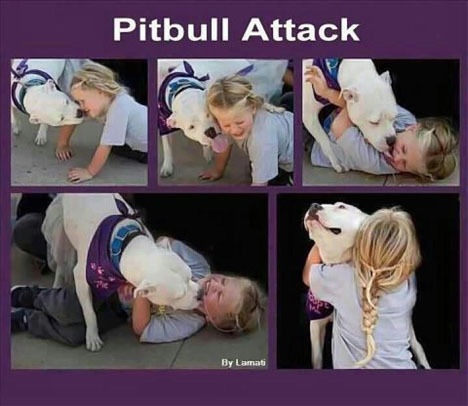 When ever an animal attacks a human it is almost certainly always a human's fault, yet the animal takes the blame and in the case of Pit Bulls, the breed takes the blame. Punish the deed and not the breed! Owning an animal is no different than any other relationship in one's life. Not all animals are a good match for every person... and not every person is a good fit for every animal. Different animals and different breeds have different temperaments and one should have a deep understanding of an animals disposition, temperament and idiosyncrasies before owning them. Hopefully those who read this will take the time to make sure they understand the breed thoroughly before making the decision to own a Pit Bull or any other animal. Do the research! Get the facts! Educate yourself! Know the differences between breeds and species of animals before making a commitment of owning that animal. Doing so could save someone's life, including your own and equally important, save the animal's life as well. This just in: Another Pit Bull Attack!!! Find out what a Pit Bull-Dachshund mix looks like here. Pit Bulls are Your Friend and Mine is Dedicated to Promoting the Advocacy of Responsible Ownership. This web site is righting the wrong done by the original magazine "Your Friend and Mine" between 1952 & 1999. This web site should in no way be interpreted as condoning the hienous content of the Your Friend And Mine Magazine.